Intimidation often looms large for a legendary director's son who wishes to follow in the footsteps of his famous parent; perhaps for this reason, more than a few opt to establish themselves in another field. For Danny Huston, however -- the scion of mythically revered, Academy Award-winning filmmaker John Huston -- it wasn't at all a question of intimidation, merely one of circumstance. After pursuing directorial work fervently and dauntlessly, but encountering mixed success and frustration about his own inability to get studio backing for projects, Danny Huston found himself being drawn, one assignment at a time, into bit roles before the camera. In the process, Huston inadvertently launched himself as one of the most respected character actors of the late 20th and early 21st centuries. Born May 14, 1962, in Rome, as the illegitimate child of John Huston and European actress Zoe Sallis (during the former's separation from his then-wife, the late Ricki Soma), Daniel Huston came of age in Ireland and London. He studied art and cinema as a young adult, often spending a considerable amount of time on his father's movie sets, and honed his skills in his early twenties not in the arena of directing (as might be expected), but in that of painting. 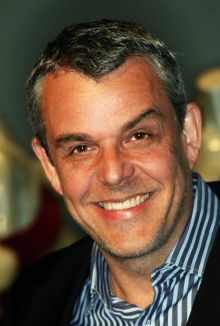 Danny Huston's directorial assignments began inconspicuously, at the age of 24, with the 1987 made-for-television comic fantasies Bigfoot and Mr. Corbett's Ghost (the second of which featured John Huston in the cast). The elder Huston -- then riding on the tails of his mid-'80s comeback with Under the Volcano and Prizzi's Honor -- engineered Danny's premier A-list feature. For it, Danny signed to helm a cinematization of Thornton Wilder's picaresque fantasy novel Theophilus North, co-adapted by John Huston, Prizzi's Honor scribe Janet Roach, and James Costigan. The Hustons assembled a dream cast: Anthony Edwards, Lauren Bacall, Harry Dean Stanton, Mary Stuart Masterson, Anjelica Huston (Danny's half-sister), David Warner, and Virginia Madsen, who dated and then married Danny in the fall of 1989. Robert Mitchum replaced John Huston in a key role when he died during production. Mr. North stars Edwards as the title character, a Yale graduate who wheedles his way into the upper crust of Newport, RI, in 1926, thanks to an inherent surge of electricity in his body that enables him to relieve the ailments of locals and thus charm them irrepressibly. Unfortunately, Mr. North -- which took its stateside bows in early August 1988 -- received tepid and lackluster reviews. Perhaps for this reason, Huston found it difficult to lock down a follow-up. Within a decade, the assignments were few and far between, and he occasionally found himself directing embarrassing fare like the 1995 direct-to-video horror exploitationer The Maddening (where psychotic marrieds Burt Reynolds and Angie Dickinson trap a poor woman and her daughter in their home and torture them systematically), and waiting, ever so patiently, for additional projects to take shape. Huston's personal life also decrescendoed during the early '90s, given his separation and divorce from Madsen. With no other immediate options visible to him, Huston started accepting Hollywood friends' invitations to play on-camera bit roles -- and scored tremendous success in this arena to rival anything prior in his career. He debuted as a bartender in Mike Figgis' late-1995 critical smash Leaving Las Vegas, then followed it up with turns in such cause célèbres as Timecode (2000), 21 Grams (2003), Silver City (2004), and The Aviator (2004). Huston was particularly memorable as British agent Sandy Woodrow in Fernando Mereilles' The Constant Gardener (2005), and as sociopath Arthur Burns in John Hillcoat's ultraviolent Western The Proposition (2005). He would go on to appear in films like Robin Hood, Stolen, and on the series Magic City. Born in Rome but grew up in Ireland and London. Began making his own movies with a Super-8 camera at the age of 7. Considered becoming a painter before getting into the family business. 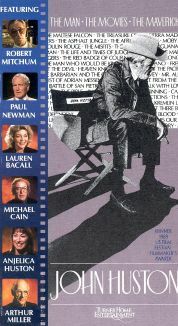 Directed his father (John Huston) in a TV-movie called Mister Corbett's Ghost (1986). Made his acting debut in Leaving Las Vegas (1995). 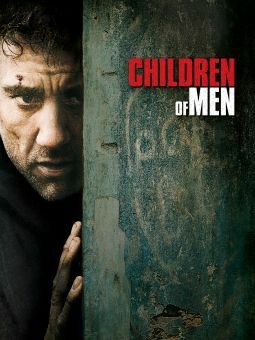 Earned a 2003 Independent Spirit Award nomination for Best Male Lead for his performance in the film Ivans xtc. Invited to join the Academy of Motion Picture Arts and Sciences in 2007.